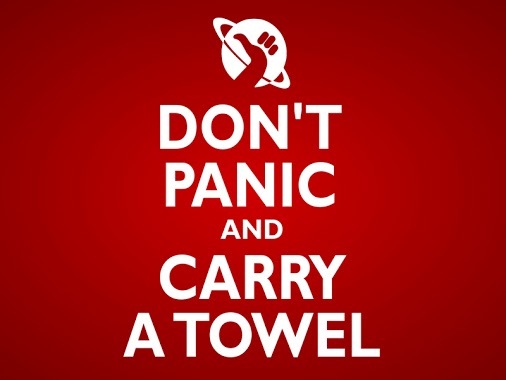 Well that was a bit oopsie, imagine missing Towel day. 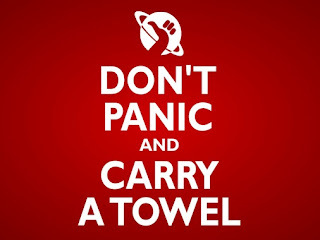 I loved the way that Douglas Adams expressed himself. Though the human was a bit of an idiot, all of the others met along the way were amazing. I really loved the depressed robot. So here is to you Mr Adams and I hope you are enjoying the universe in the here after. Imagine, he now knows what the question is. I wonder if they serve Pangalactic Gargle Blasters in writers heaven. 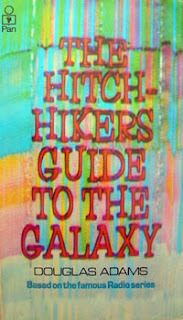 If you don't know what I am talking about read the five books that make up the trilogy of the The Hitchhiker's Guide to the Galaxy.